Carbohydrates are an important source of energy during exercise. 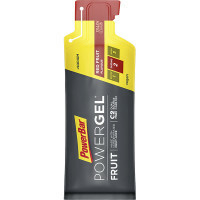 Are you looking for carbohydrate gels for training or competition? 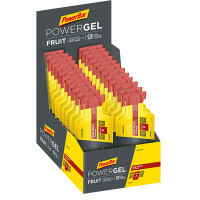 PowerBar PowerGel® Fruits are the fruity choice when it comes to carbohydrate gels. 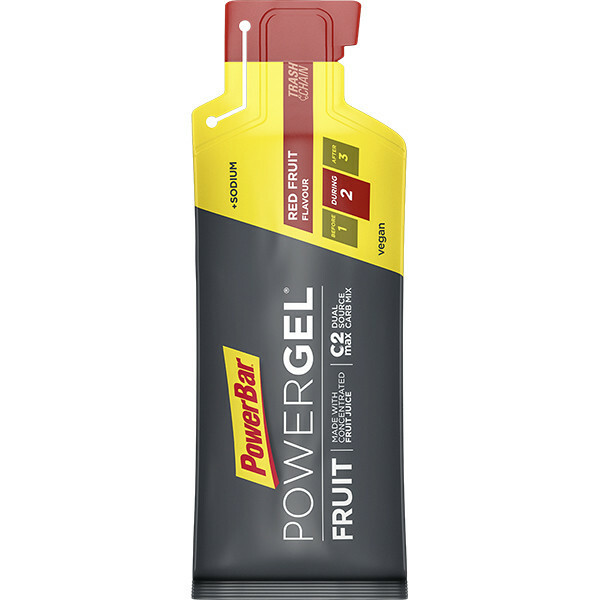 They are based on fruit juice concentrates and, in addition to sodium, contain C2MAX - a scientifically developed 2:1 ratio of glucose and fructose sources. Maltodextrin, water, fructose, fruit juice concentrates (15%) (apple, pomegranate, raspberry), sodium chloride, sodium citrate, natural flavourings, preservative (potassium sorbate), acid (citric acid). 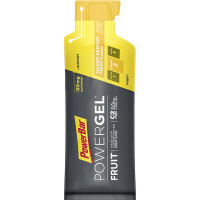 Take 1 pouch as required in regular intervals during exercise with water.